In the Biosphere Potsdam, unique birthdays can be celebrated, too! Tropical climate, a thick jungle with lots of exotic animals and plants and an enthralling story make every birthday an unforgettable experience! 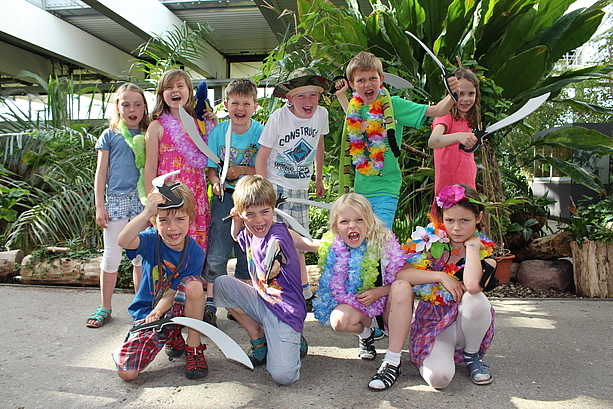 Our programs for kid's birthdays are available in German only. It is possible to bring your own translator. Please inform yourself on the German Homepage. Thank you.